Paris (VNA) – The Association of Vietnamese Scientists and Experts (AVSE Global) reaped many impressive results in its key sectors in 2018, according to its President Prof. Dr. Nguyen Duc Khuong. He made the statement during a congress for the 2019-2021 tenure of the association, which took place in Paris on January 12. Speaking at the event, Vietnamese Ambassador to France Nguyen Thiep said activities of the AVSE Global have greatly contributed to Vietnam’s socio-economic development. 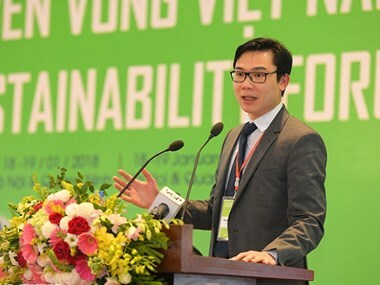 Notably, the second Vietnam Sustainability Forum is set to take place in late January, which will create an international exchange platform for global leaders, entrepreneurs, scientists and experts to present and discuss worldwide initiatives, practices and visionary trends about sustainability. In the previous tenure, the AVSE Global joined hands with Vietnam’s relevant agencies to hold seven workshops and policy forums on digital economy, leadership, public policy, and finance – banking, among others. It also organised various training programmes, particularly those designed for technical officials and future leaders. Nearly 20 policy reports were submitted to the Vietnamese Government and relevant agencies. Meanwhile, 10 strategic projects have been launched, including those related to the Van Don Special Economic Zone, education networks, economic policy, and strategies to attract Vietnamese talents across the world.